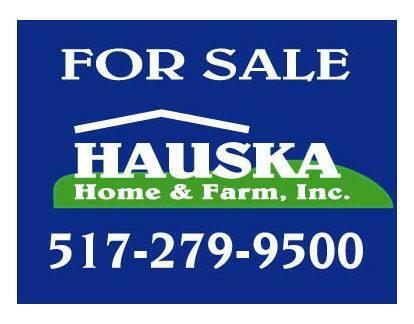 I am an experienced Full-Time Realtor with 11 years working for Hauska Home and Farm Real Estate Company located in Coldwater, Michigan. The buying or selling of a home can be challenging and my goal is to make your experience easy and stress free as possible. My promise is to work hard by providing you with the best information and market data available. Whether you are buying or selling, I will work tirelessly to promote your best interest. I reside in the Branch County area for the past 32 years, I am married and live with my family on Matteson Lake in Bronson. I am a member of the Girard United Methodist Church and the Gideon's International. It would be an honor and a privilege to work for you.